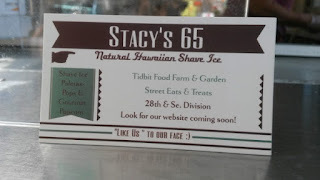 Stacy's 65 recently reopened with a new vision: Hawaiian shave ice. While the breakfast sandwiches could be back on the menu in the future, this was a great way to take advantage of the hot summer months. 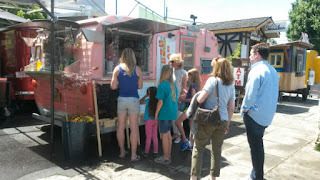 As part of the revamp, the trailer has been painted a salmon-pink color, with a "Hawaiian Shave Ice" banner prominent on the side facing Division Street. 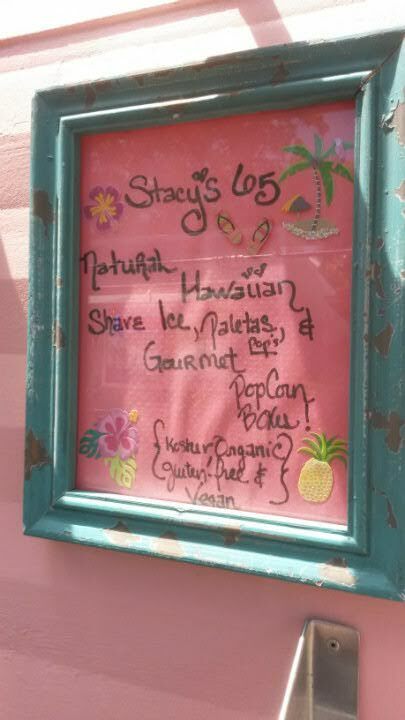 Stacy has several organic shave ice syrups available, but also makes her own syrups. 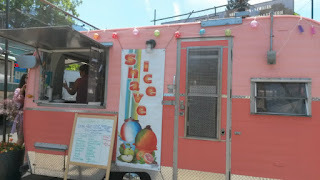 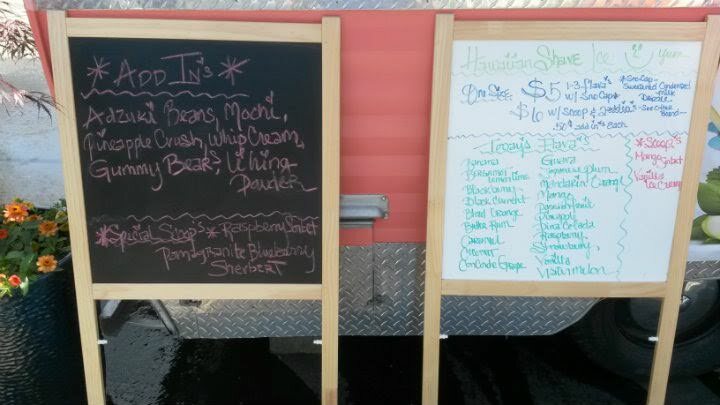 It's not everyday that you come across a shave ice cart with homemade syrups. Just ask Stacy what she has available -- even if it may not necessarily be on the menu. 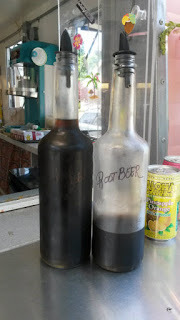 I found out one of the homemade syrups was root beer! Being on a root beer bender as of late, I had to check this out for science. 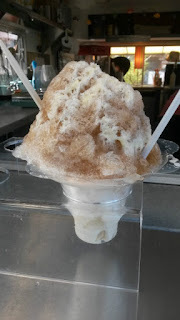 After the top got removed, I really got a nice vanilla root beer essence. 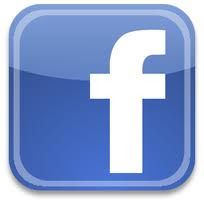 There's only one size, with a $1 difference if you plan to add a couple add-ons to the mix. I got the root beer shave ice with vanilla ice cream and a condensed milk "sno-cap" drizzle on top. 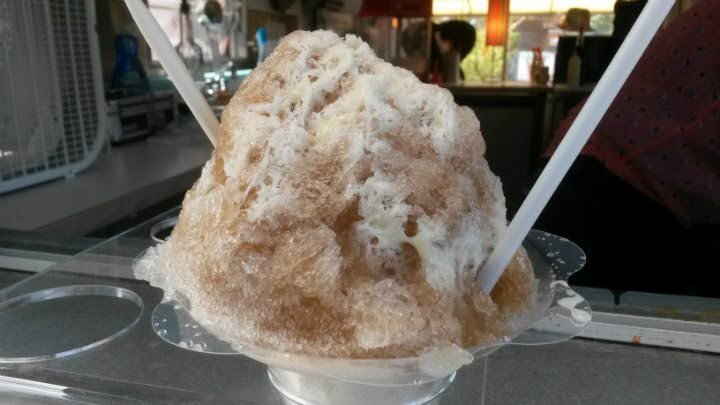 With the summer weather pushing the high 80s and into the 90s in early June, shave ice really becomes that much more of a treat. 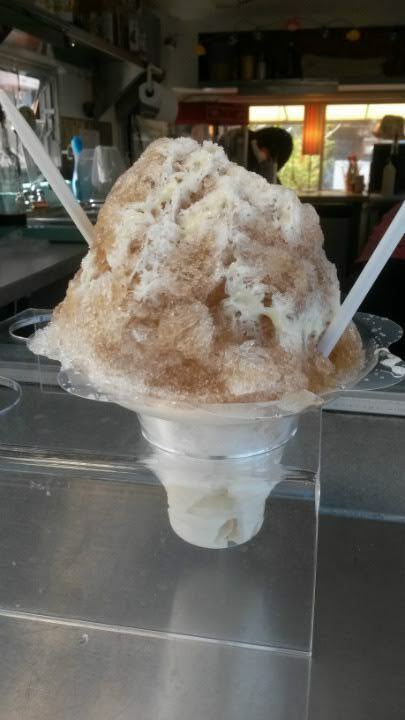 The ice is finely shaved and was made for this summer weather. Heck, I'd eat cold treats in the winter time as well. Just see Salt & Straw; the lines don't really let up even in winter. 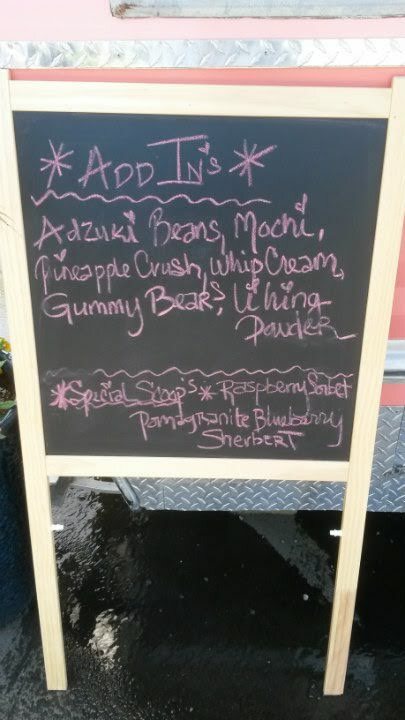 I got the vanilla ice cream on purpose: the panda loves root beer floats. 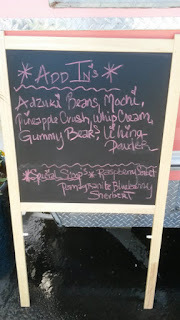 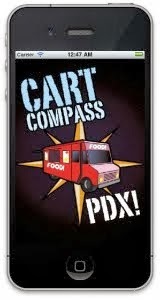 Given the shave ice and the ice cream, I think the root beer syrup could be even more concentrated and be a top seller. 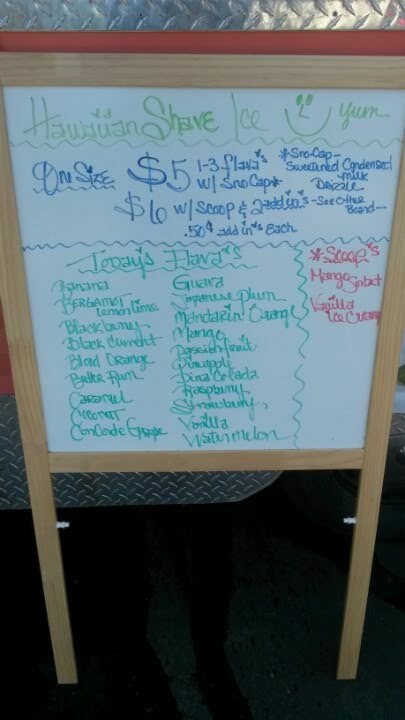 There are several other flavors available. 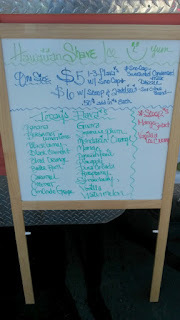 I'd personally gravitate towards the homemade syrups because you won't find them anywhere else.